There’s no denying the convenience provided by wet wipes. 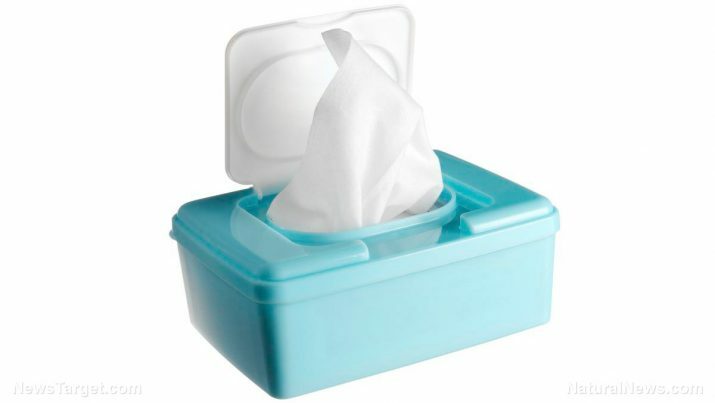 Originally marketed for babies, wet wipes have since seen more use by adults the world over (makeup wipes, anyone?). Though they make life easier for people, their impact on our infrastructure and the environment is anything but positive. After use, wet wipes are usually tossed in the trash bin or flushed down the toilet. Either option has hefty consequences. Flushing wet wipes actually causes problems for sewer systems due to not breaking down as easily as toilet paper (namely because they contain plastics). So instead of coming apart, wet wipes accumulate in pipes and catch any oils or fats that come their way. The more wet wipes get thrown in the toilet, the more they grow in the sewers until they become blockages known as “fatbergs.” These congealed lumps of non-biodegradable matter can reach tens of thousands of pounds and cost any city unfortunate enough to have them millions. What about the wet wipes that get hauled off to landfills? They’re no better. Wet wipes contain a dangerous cocktail of preservatives, alcohol, fragrances, and moisturizing and cleaning agents. This makes incredibly effective at eliminating bacteria, to the point where they kill off the bacteria and enzymes that help break down the solid waste in landfills. Composting them won’t be of much help since wet wipes take a long time to degrade, if at all. Then there’s the matter of what happens if and when wet wipes break down. Simply put, they don’t. Not completely. Wet wipes turn into microplastics over time, which are essentially tiny bits of plastic nearly invisible to the naked eye. They’ve been the subject of much research because of their impact on marine life forms. According to Dr. Sean Anderson, California State University, Channel Islands associate professor of environmental science and resource management, animals that eat microplastics by accident suffer for it. And instead of just staying in the ocean, microplastics can make their way back to us through the food we eat. As per Romper.com, University of California, Davis researchers discovered that about a quarter of the fish sampled from Californian and Indonesian fish markets are loaded with “man-made debris” such as plastics. The exact effects of microplastics on the human body has yet to be fully established, but some researchers think that they may cause inflammation or toxicity. Makeup-removing cleanser: Apart from cleaning baby bums, wet wipes are also often used to remove makeup. In lieu of wet wipes, beauty columnist Sali Hughes recommends a good cleanser for taking it all off. “Whatever you use, you will get far better results if you massage the cleanser into dry skin and buff it off with an old-fashioned Terry cotton flannel, drenched in hot water and wrung out,” explained Hughes. Toilet paper moistener: For adults with sensitive bottoms, there are toilet paper moisteners. Just like their name implies, these products are meant to be used on toilet paper. Some brands are even formulated to make toilet paper break down faster. Visit Environ.news to read up on how to live better and greener.